Whoa!! Hurry and get the Minifigures (fits LEGO) 20 pc. Set today for only $6.55 from Amazon! Save 34% off the regular price of $9.99! PICK A CHARACTER – 20 pcs different minifigures. All figurines have an interchangeable hat and can move their arms and legs! CREATIVE ROLE PLAY – Play principles provide real benefits to child’s learning, from improved hand-eye coordination to enhanced problem-solving skills. 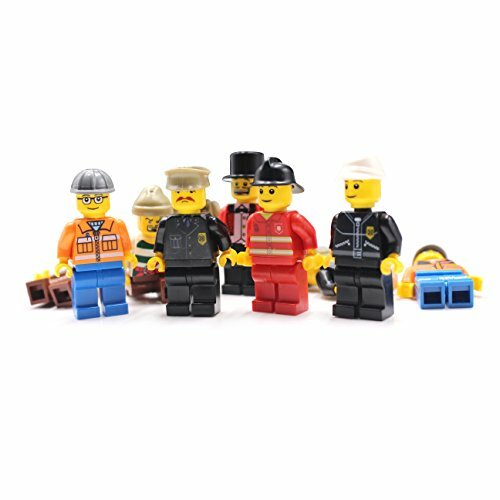 PRODUCT SPECIFICATIONS – Each of the minifigures comes unassembled in its own bag. This product is safe for ages 4 and up. Figures measure about 2 Inch H and perfectly work with all other major brand pieces. 20 compatible and interchangeable with top name brand figures. 20 different models city Man. Each figure is individual packaged and sealed building toys 100% brand new and high quality. Buy the Minifigures (fits LEGO) 20 pc. Set from Amazon. Previous articleEssential Oil Diffusers, 120ml for Aromatherapy – DEAL! Next articleTim Horton’s Ground Coffee Coupon Deal!